Lanterra is a cursed land of unbalanced magic. There is no hope for its citizens until fourteen-year-old, unproven mage, Krys Anderwood opens an ancient journal and unleashes its power. The tome depicts a great battle two hundred years before, when an evil sorcerer named Grimm murdered the reigning king, Reth, and trapped the Wizard Raven, forcing him into eternal sleep. With the king and the mighty wizard gone, the magic of Lanterra became unbalanced, slowly succumbing to evil as it ran unchecked across the fragile land. Krys finds that he faces an impossible deadline, yet concedes to the task set two centuries before. He accepts the help of his best friend, Peter Greenleaf, and Navashay Foxglove, a healer from a distant village. Together they embark on a journey Krys is ill prepared for. 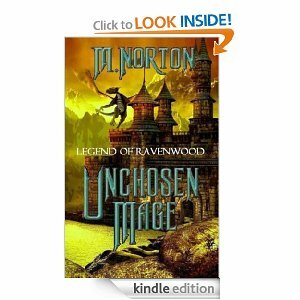 Plagued by insecurity and marginal abilities, he must battle hideous lizard creatures, navigate a mysterious and deadly forest, and find Ravenwood Castle to free the trapped wizard and break the curse. All before Grimm can stop him. “I thought this book was well developed, with enough detail to get the imagination rolling. The adventure starts off almost immediately and kept me turning the pages. The main character is someone to root for, as he is still unsure of his true abilities. I am interested to see his transformation in the following books. I like that the author brought in new types of magic and conjuring versus other books of the same old magic. A Grisham-style suspense novel about high-tech biogenetics run amoke from a Pulitzer Prize-winning author. After several years of zealous investigative reporting on the East Coast, reporter Enzo Lee enjoys his new, quiet life in San Francisco, churning out light, fluffy features for the local paper. Lee adores his North Beach apartment and days filled with running, tai chi, great food, and women. Life is good.So when Lee’s boss orders him to cover the mysterious deaths of a local judge and prosecutor, he is flushed out of his comfort zone and thrust into a story that turns both exhilarating and dangerous. With help from the judge’s attractive niece Sarah Armstrong, Lee begins to uncover a bioterrorism scandal. The perpetrators will kill to conceal and Lee and Sarah soon become their prime targets. Will the pair evade their hunters and piece together the story before time runs out? Or will the government agents and Silicon Valley titans who are the masterminds behind the scandal stop the pair and add them to the list of victims? From Pulitzer Prize-winning author Robert B. Lowe. 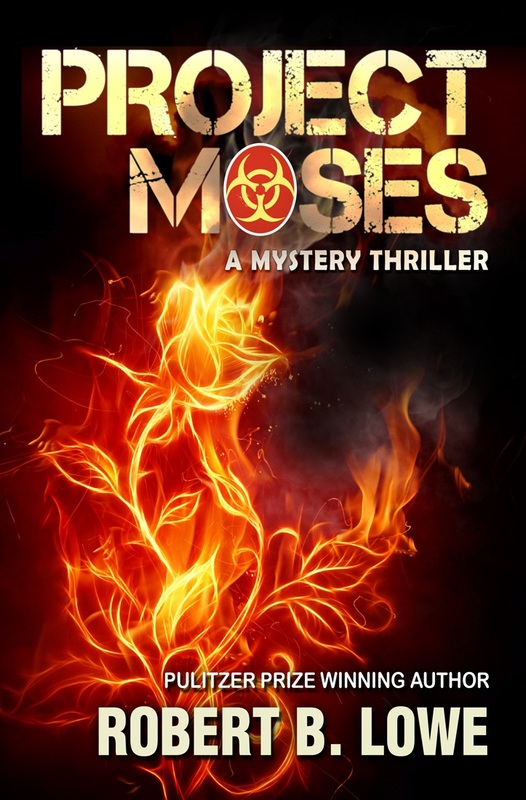 Kirkus Reviews describes Project Moses as “a taut thriller…with an ideal fusion of wile and wit”.